LAMM to service a centre of excellence in the French neurological research. 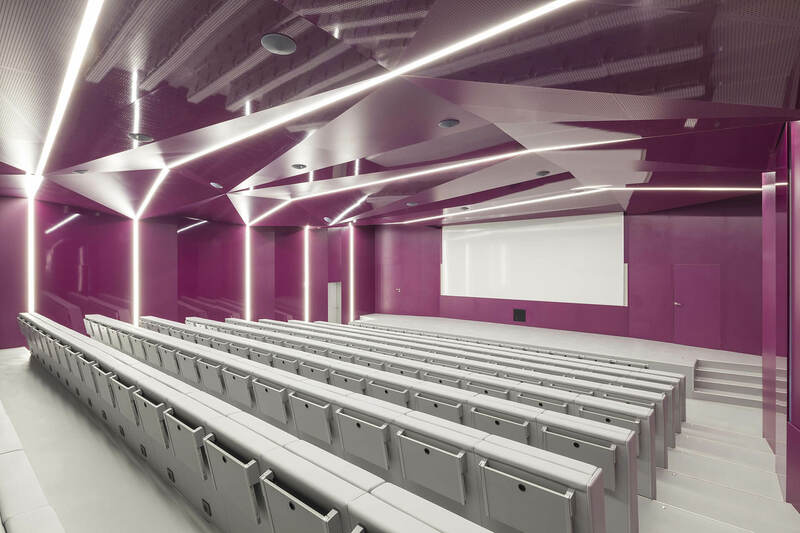 This installation strengthens internationally the role of a company able to offer not only advanced, but also flexible seating systems, which can be integrated to allow all designers to customise their projects. We shall not cease from exploration, wrote Thomas S. Eliot. No words were more emblematic to introduce the recent opening of the Neurocampus architectural complex in Bordeaux, which together with the Institut Magendie and the Plateforme Génomique Fonctionnelle adjoining buildings forms the hi-tech experimentation cluster of the Ségalen University, fully dedicated to the development of human nervous system research. The new opalescent monolith, conceived by VIB architecture, a Parisian design studio managed by the figures of Franck Vialet and Bettina Ballus, encloses the barycentric atrium around which different typologies of research laboratories, medical practices, offices, service areas and a coffee bar are situated. 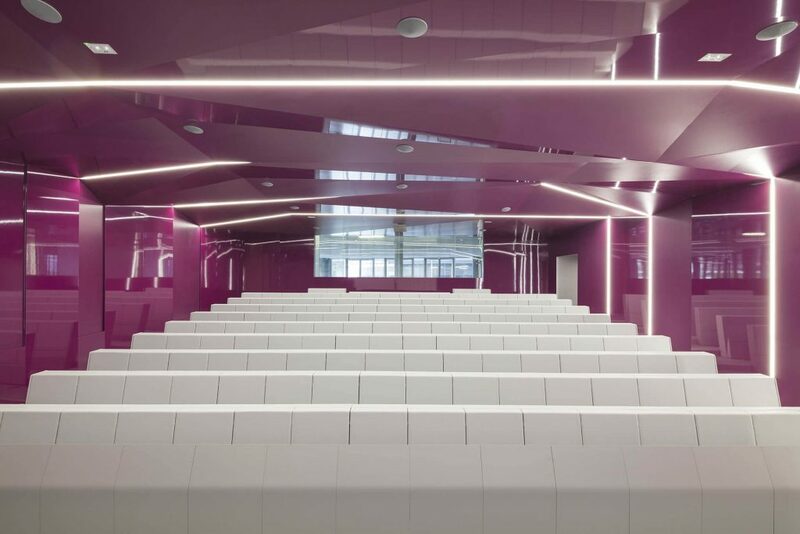 Among them, the conference hall is architecturally iconic, framed by a purple complex parametric vault, which clashes with the immaculate and minimal parterre where, along the flight of steps, 150 LAMM armchairs of the Genya model (design Dante Bonuccelli), with rear backrest table and electric power supply. The installation has been completed by providing the first row of seats with the E5000 tip-up table (Orlandini design), finished with wooden front panels. A combination that is gaining an increasing approval among the designers, thanks to the flexibility and customizing possibility, which characterize LAMM offer and systems.